If your posts are more likely to discuss the weather than your value added services it may be time for a fresh approach. There's a balance to be struck of course but those who use social media marketing to advantage tend to be quick off the mark, inventive, salient and have an end goal ... it could be to 'read more' on your website or to provoke a like or a share. It's not a popularity contest, the objective is to build engagement and spider our message to a much wider audience. Under the bonnet of the most successful and spontaneous exponents of social media invariably lies a carefully crafted strategy. From Instagram to Pinterest, Twitter to Facebook, our team can link with yours to develop social media content and marketing campaigns on a basis to suit you. Perhaps a 3 month kick start to get you motoring or we could do it with you or for you if you prefer to focus elsewhere. User Generate Content otherwise known as UGC is becoming an increasingly popular marketing methods for companies all over the world. UGC allows you to make use of content created and shared by your customers. Give us a call if you'd like to discuss how you can integrate UGC into your social media strategy. How to stand out? Creative designs helps. And there's more. Head your customers to your website to find it. 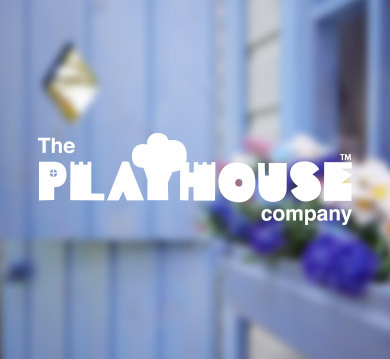 The Playhouse Company design and manufacture very distinctive playhouses, castles and treehouses. We ran a mixed organic and paid social media campaign to promote a pre-Christmas '20% off ' sale. We created paid ads on Facebook and Instagram to support the campaign, with tight demographic targeting to catch the eye of families looking for the most memorable present for their children. "We were delighted with the success of the campaign. Although we've done quite a lot of social media promotion in house there's no doubt Gareth's expertise yielded results. Working with Orphans, it's a transparent process with people who really get our business."